Dr. Anurag Purwar's research interests are in machine design area with a focus on kinematic design of robots and mechanisms, CAD/CAM, and application of Computational Geometry, Virtual Reality (VR), Computer Graphics and Visualization in Design Engineering. He has published more than 50 peer-reviewed conference and journal papers and his research has been funded by National Science Foundation (NSF), NY-state SPIR, NY-state Center for Biotechnology, Sensor-CAT, SUNY Research Foundation, industry, Stony Brook University, and SUNY Office of Provost. Dr. Purwar is currently an Associate Editor of the ASME Journal of Computing and Information Science in Engineering and of International Journal of Mechanics Based Design of Structures and Machines. He received A.T. Yang award for the best paper in Theoretical Kinematics at the 2017 ASME Mechanisms and Robotics Conference and the MSC Software Simulation award for the best paper at the 2009 ASME International Design Engineering Technical Conferences (IDETC) . He is the recipient of the Presidential Award for Excellence in Teaching by Stony Brook University and the winner of the 2018 FACT2 award for Excellence in Instruction given to one professor from the entire SUNY system. He has been twice elected as a member of the ASME Mechanisms and Robotics committee and served as the Program Chair for the 2014 ASME Mechanisms and Robotics Conference, as the Conference Chair for the 2015 ASME Mechanisms and Robotics Conference and has served as symposium and session chairs for many ASME International Design Engineering Technical Conferences. He was the general Conference Co-Chair for the 2016 ASME International Design Engineering Technical Conferences (IDETC/CIE). Dr. Purwar is the department’s representative to the NY state-funded Strategic Partnership for Industrial Resurgence (SPIR) program. As the SPIR representative, he identifies and coordinates projects between the department and Long Island based industries. SPIR projects include joint proposals for federal funding, manufacturing and quality assurance improvements, research and development, and testing and evaluation. He won a SUNY Research Foundation Technology Accelerator Fund (TAF) award, which enabled him to develop a multifunctional Sit-to-Stand-Walker assistive device ( http://www.mobilityassist.net ) for people afflicted with neuromuscular degenerative diseases or disability. The technology and the patent behind the device has been licensed to Biodex Medical Systems for bringing the device to institutional market. The device won the SAE Top 100 Create the Future Award in 2016. 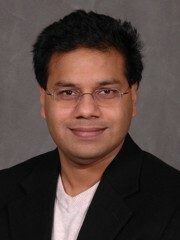 Dr. Purwar gave a TEDx talk on Machine Design Innovation through Technology and Education ( https://www.youtube.com/watch?v=iSW_G0nb11Q) which focused on enabling democratization of design capabilities, much needed for invention and innovation of machines by uniting the teaching of scientific and engineering principles with the new tools of technology. Four of his patented or patent-pending inventions have been successfully licensed to the companies world-wide.